Remember how exciting it was to get your first driver’s license? It wasn’t the prospect of getting from point A to point B faster than walking or riding a bike that excited you. No, you were thrilled about the freedom and independence afforded by your new license and the opportunity to drive wherever you wanted to go. Now imagine losing your license, or being forced to question your ability to drive safely. Many seniors and their loved ones struggle with this prospect every day. And, the loss of freedom and independence that comes with it. I recently participated in an interesting seminar about senior driving safety at the Gables at Winchester. The featured speaker was Michele Ellicks from the Registry of Motor Vehicles. I’d like to take this opportunity to share with you what I learned at the seminar, together with some research I have done on my own since then. Statistically, people actually drive better as they get older… up to a certain point. Overall crash rates for mature drivers are relatively low, in part because many seniors take precautions such as driving only during the day, staying home in bad weather and avoiding rush hour. And let’s be honest—weren’t you a little more reckless behind the wheel when you were 18, 20, 23? You are certainly more experienced now, and considerably wiser. However, drivers age 70 and above have higher crash rates per mile driven than middle age drivers. The rate of fatalities increases slightly after age 70 and significantly after age 85. Medical conditions, medication usage and reduced physical function can increase the risk of accidents and injury among older adults. 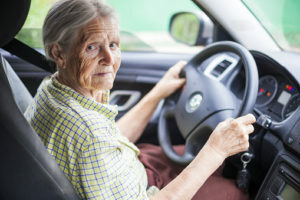 Although older persons with health issues can certainly be satisfactory drivers, they have a higher risk of injury or death in an accident, regardless of fault. The Commonwealth of Massachusetts has taken some steps to address the problem of senior driving safety. For example, as of September 30, 2010, drivers 75 years of age or older can only renew a driver’s license at an RMV Service Center or AAA office. 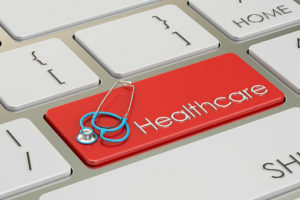 Medical providers are not subject to prosecution for HIPAA violations when reporting medical information to the RMV in cases where the provider thinks the patient may be an unsafe driver. In addition, anyone can write a letter to the RMV to say a person should not have a license to drive. Are you worried about your ability to drive safely, or that of a senior you love? In my next post I’ll discuss the signs of unsafe senior driving and the options available to seniors who have lost their license or decided it is best to avoid driving altogether. Although the saying goes that two can live as cheaply as one, the opposite can also be found to be true for an older woman. No woman wants to think about how her life might change in her older decades, however, living alone can lead to higher expenses and with longevity numbers higher for women to begin with and the fact that many women shoulder the burden of child care and do not have as much retirement savings as a result, it’s more important than ever to consider how your retirement planning can act with your estate planning. 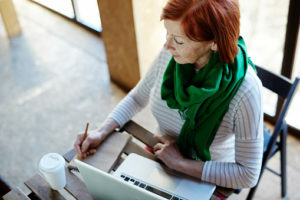 There are a couple of different things you can do to empower yourself in the retirement planning process as a female. First of all, you need to get organized by maintaining a list of all account logins, numbers and balances. This gives you an idea of where you’ll stand in the event that you were to suffer a sudden life changing event such as a diagnosis of a disability. Furthermore, you need to prepared to take control for your finances even if you have neglected financial planning in the past. Furthermore, it can be devastating to realize that the pain of losing a spouse can lead to another blow when there was no estate plan in place. Make sure that you have financial and medical powers of attorney as well as all the crucial documents necessary to protect you, if something were to happen to you or to your loved one. Speak to a Massachusetts estate planning lawyer if you need help talking through the connection between your retirement and estate planning. Most people entering retirement today know that they may live a long time. Others still can expect a long life expectancy but potentially one that is impacted by one or more long-term care events. That’s why careful planning with a Massachusetts estate planning lawyer can help you look ahead to retirement with confidence and peace of mind should something happen to you. According to recent research, more than 56% of all women currently aged 50 are expected to live longer than their life expectancy of 83 years. Furthermore, 55% of men are expected to outlive their expectancy as well. Although this might seem a bit strange, this skewed distribution has more people living longer than passing away early. According to the Social Security Administration’s recent statistics, 30% of all 50-year-old women today will live to see their 90th birthday and up to 90% of men will as well. The most likely age for a 50-year-old man to pass away is 85 and for a 50-year-old woman, this number is 88. A woman is more likely to die at age 92 than her actual life expectancy of 83. These numbers have important implications if you are currently engaged in the estate planning process. Thinking ahead about how you will fund your retirement and pass on assets to the future should be something you contemplate as you think about the legacy you have established over the course of your life. Ensuring that you have enough assets to support you through your retirement is crucial, but you may also be concerned about the rising costs of long term care. 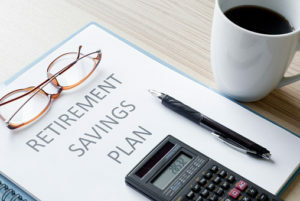 Many people across different age categories in the United States struggle financially and a sudden illness or a job loss can have a major impact on their retirement savings accounts. These savings accounts are often tapped into during emergency situations because they provide ready cash. However, withdrawing from your retirement account now can have significant long term costs and many people do not realize the extent to which they can affect you. According to a study by the New School for Social Research, up to 96% of Americans will experience 4 or more income shocks throughout their life. This is defined as a 10% or higher decrease in pay as a result of something like a sudden illness or a job loss. On their own, an income shock won’t have a devastating impact on your retirement savings overall. However, compounded, this could significantly reduce a nest egg. In fact, having poor health ultimately reduces your retirement savings by more than $34,000 and very poor health reduces it by more than $86,000. Those repeated income shocks can have an impact of a loss of more than $10,000 and reduce savings across your working career. Planning ahead for retirement and thinking about when you will take action to save for retirement as well as buffering yourself against long term care events are all steps that you need to take now before a problem happens. Consulting with a knowledgeable estate planning attorney in MA is just one thing you can do to sit down and discuss how you will protect the assets you’ve already built and opportunities to pass on those assets to future generations. The process for long term care and Medicaid is rapidly changing and may shift dramatically in the next several years. Approximately half of all states around the country are currently providing Medicaid long term care benefits through managed care and 13 additional states require older adults to receive care in that same manner. In addition, many elderly individuals who are struggling with healthcare issues prefer to receive care at home anyways. Since Medicaid was first set up in 1965, the way that care has been delivered has changed significantly. Back at the time of Medicaid’s inception, nursing home was the primary way that individuals who were struggling with a long-term care problem received their benefits. However, many changes have taken place that now allow people to receive more care at home. Aging in place is one primary goal for individuals who are looking forward to the future but need additional assistance in getting through the day. 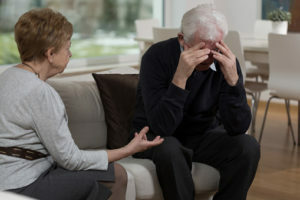 Struggling with activities of daily living and coping with the impacts of a long-term care event or a recent cognitive diagnosis may require a difficult conversation between family members about how a loved one will be cared for. Consulting with an estate planning attorney to develop necessary healthcare and other power of attorney documents in addition to discussing long term goals and advanced Medicaid planning can be extremely beneficial. 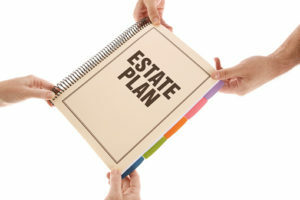 Do not hesitate to reach out to an experienced estate planning lawyer today to learn more. If you cannot afford to retire yet, you may need to keep yourself healthy enough to continue working. According to a project released by the Transamerica Center for Retirement Studies, of the 39% of individuals around the world who retired sooner than planned, 29% did so because of less than ideal health. In the United States, 61% of retirees overall retired sooner than they intended to, which was the highest rate for every country surveyed. Those who struggle with their health have a greater chance of intending to work past age 70, but only a portion of those who plan to will be able to stay employed as health risks jeopardize their options. Up to 17% of those who reported themselves as being in excellent health intended to retire at 70 years or older or not at all. The survey also found that approximately half of employees in the United States were not adopting beneficial behaviors that would allow them to stay healthy and continue working. This is a critical gap when a person chooses to focus on investing time and energy into their employment but not into keeping themselves healthy. Although genetics certainly does play a role in these issues, part of your health outcomes can be linked with your individual behaviors. There is a double benefit for those individuals who keep good health in the decades leading up to retirement when they do stop working. If they take care of themselves and then save the money that they would have spent on healthcare expenses, they’ll have more money in retirement and their overall healthcare cost and retirement will be less as well. Ready to talk about planning for your future with the help of a lawyer? Consult with a Massachusetts estate planning attorney today. Looking ahead to your retirement has probably been something that you’ve planned for for decades. You’ve invested in the right accounts, charted out what you might need to support you through older years and consulted with a financial planner and estate planner on a regular basis. A new study conducted by Merrill Lynch identified that nearly half of Americans aged 50 and beyond will overextend themselves financially in order to enable their children to obtain a more comfortable life. While this may give you greater peace of mind that your children have access to resources that will assist them as they begin their working career, this can also jeopardize your ability to have enough funds in savings to support you through a long and healthy retirement. Given that many people may also face a long-term care issue at some point after age 65, it is imperative to realize that there may be better ways of passing on assets and enabling your children to receive support. The study identified that parents who are in the retirement phase of their life are giving their adult children up to $6800 per year in order to enable the adult children to live more comfortably. Nearly 80% of the survey respondents said that they felt that this was the right thing to do. 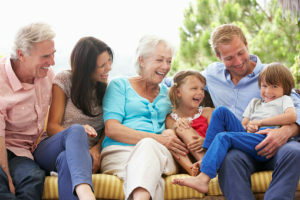 Adult children were the ones who received the most help from a retired family member when compared with parents, siblings, and grandchildren. If you have questions about the best way to plan ahead for your retirement and how to incorporate estate planning into the retirement planning scope, consult with a Massachusetts estate planning attorney today. Many different people are interested in protecting their legacy as well as passing on as much wealth as possible to future generations. According to research, however, many high net worth families have lost their fortunes by the second or the third generation. Up to 70% of a wealthy family’s fortune is typically gone by the third generation and nearly 90% of it is gone by the fourth. This is why it is extremely important to consider preserving wealth through multiple generations with the help of the right estate planning strategies. Although many high net worth families are taking conservative positions this year, it is important to consider setting up tools that will help individuals let trust and other strategies last as long as possible. Some of the tools that are typically used in this situation include multiple kinds of trusts, a family limited partnership, and an intra-family loan. 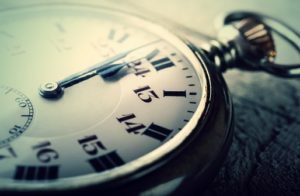 The urgency of wills and trusts cannot be overstated for a high net worth family, where it becomes imperative to calculate how much money will be passed on to future generations. Trusts provide a great deal more flexibility and control over your intentions for passing on assets and can also help to shield you from some of the public nature of a will. Trusts offer more ability for you to outline how a beneficiary will receive the assets. This is ideal for your concerns about a spendthrift child or a beneficiary may need some time and planning to adjust to his or her new assets. Establishing that the trust kicks in at a particular age can encourage children to finish their educational goals as well. Advanced planning is important for everyone, but especially for high net worth individuals who hope to pass on the wealth and the family legacy for generations to come. Having a relationship with the right Massachusetts estate planning lawyer is important. Plenty of celebrity deaths have raised important considerations about the estate planning process. At the time that he unexpectedly passed away, Alan Thicke appeared to have a fairly comprehensive estate plan in place. He generated a trust in 1998 for the benefit of his family and executed a prenuptial agreement in 2004, when he married his wife, Tanya in 2005. The trustees of the Thicke Living Trust, his sons Brennan and Robin came forward recently, seeking direction from the court regarding Tanya’s impact. The petition argues that Tanya requested a larger portion of the estate that was allocated to her under the trust terms and denied the validity of any prenuptial agreement. She also suggested that she may be entitled to Marvin rights, which are typically brought up to protect an unmarried partner in palimony cases. The term Marvin rights is taken from the case involving the late actor Lee Marvin. Marvin v. Marvin. 18 Cal.3d 660 (1976). Her argument is that she sacrificed her own career to support Alan Thicke and has now been severely prejudiced in her career potential as a result. Even though California is a “community property” state, the critical point of interest here has to do with the intersection of two different legal documents; the trust and the prenuptial agreement. The prenuptial agreement determines what of the property in the estate is considered community and this is the property that Tanya would maintain ownership rights over. This highlights the complexity of the estate planning process and how failing to plan or not considering all the different legal documents you have previously created may intersect with your estate plan can lead to problems. Even if you’re not a celebrity, it’s important to have the right estate planning lawyer in Massachusetts help you articulate your goals. Planning ahead for retirement is something you’ve probably been doing for a long time. 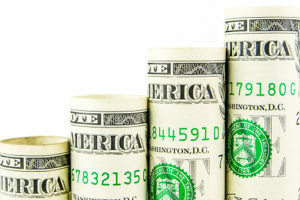 However, many people are plodding along with their retirement plans without realizing that some mistakes could be costing them and their children in a big way. As you can see from this list, most mistakes have to do with not having a contingency plan. Just one long-term care event or accident could leave you unable to work and also coping with costly medical expenses. For someone who planned to be working and very healthy throughout all their retirement, this plan exposes you to a lot of risks if even just one accident occurs. Developing a disability or cognitive problem could present even more serious issues. Along with comprehensive retirement planning, it’s important to think about your legacy and your estate plan. Consulting with an experienced Massachusetts estate planning lawyer is critical.